The Mobile Marketing Association South Africa (MMA SA) has released the results of its Cognition Research study. The study sought to test and assess the duration at which advertising on mobile platforms can be recognised and processed cognitively. To achieve this, three key areas were investigated: Was the ad seen, how long did consumers spend with ads out of the total viewability time and was the ad processed? The study was conducted in the United States and is based on participation of 869 consumers who each reviewed ads in a social media and desktop context. "Existing CPM business models are built upon the notion that the longer an ad is shown — whether this is in a desktop or mobile environment — the better its impact. Yet, to date, very little scientific data has been available to back up this argument," says Sarah Utermark, MMA SA country director. "Given this, as an industry, we haven’t been able to give conclusive answers to questions such as how long an ad should stay on a mobile screen in order to trigger attention, or whether brands should pay a premium to increase that exposure time," adds Utermark. "Our aim with this study was to be able to provide meaningful guidance to marketers in terms of how to better plan for the new 'high-velocity mobile environment'." According to the MMA, the new cognition research throws a whole different light on the debate around viewability where the current standards are three seconds for video and 1.5 seconds for display static. "The study also debunks the thought that there is no difference between online and mobile exposure times. In fact, there is a great deal," she says. It is because of this research that the MMA says that brands need to adopt a one-second strategy. "This is where an ad is consumed and an emotion, positive or negative, is recorded in the blink of an eye." “Through our research, we wanted to find out how long an ad needs to stay on a screen to trigger an action and a positive or negative emotion," says Utermark. "We looked at how consumers process ads, and then if they experience information overload or stress. We also looked into what causes an emotional response; in other words, what motivated them to engage or avoid an ad." The study found that it takes less than a half a second for the human brain to process an ad, positively or negatively. In fact, more than 64% of ads surveyed in the study were consumed within 0.4% of a second. Mobile screen ads are also consumed and emotions triggered at a far faster speed than desktop advertising. Video also creates an emotional response far sooner than static, in just under a second. "This is particularly important because we can assume that a video needs twice the time versus static to create an opportunity to see (based on viewability standards)," adds Utermark. Weak ads also fail faster. The research shows that they are processed quicker and create negative responses in less than a second. Colour and composition play a major role in the ads efficacy too, as do the brands’ social media handles — known brands are engaged with far faster than unknown brands. Ads also need to be aware of complexity: a highly complex ad should not necessarily be placed within a high context environment. "We need to start thinking differently about how ads are created. An ad needs to get attention and start the cognitive process really quickly. It needs to ensure that all the components are clear and easy to understand, that the ad evokes a positive emotion, appeals to viewers, is memorable and has ‘locking power’," says Utermark. "This is not an easy task, but is essential if an ad is to make an impact in either a mobile or desktop environment in a very short period of time." Utermark adds, "We think we have time, but we don’t. In reality, consumers are forming emotions and reactions much faster than we initially thought. Instead of trying to control / expand exposure time, we should focus on putting our best foot forward from the second that the ad appears on the screen." "We call this the one section strategy. It’s meant to be a checklist of creative and media considerations. It’s about choices that consumers make whether we know it or not and our goal is to ensure that marketers are making informed decisions in each of these areas," Utermark concludes. MMA members can access the full Cognition Research study here. For more information, visit www.mmasa.org. 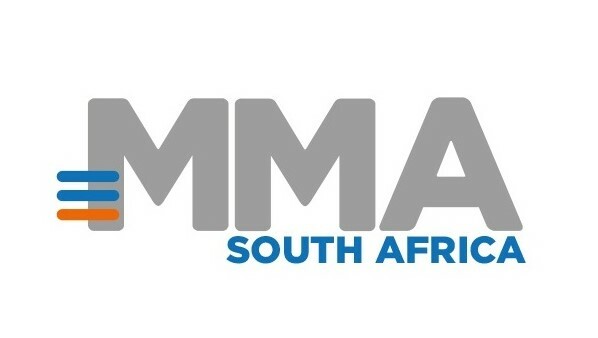 You can also follow MMA SA on Facebook or on Twitter.